An improvement in the economy has begun to filter through to the insurance market, according to FBD. But the insurance firm said the sector here remained competitive, although market rates had hardened for car and business insurance. Home insurance rates, said FBD, remain weak despite the severe weather across the country during the first three months of the year. 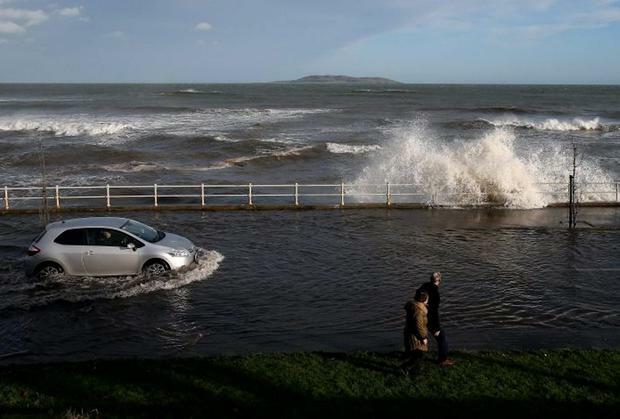 FBD, which also uses the Clan Insurance and No Nonsense brands, has previously indicated that the bad weather in January and February is likely to cost it around €7.8m net of reinsurance. In an interim management statement updating investors on its first-quarter performance to coincide with its AGM yesterday, FBD said its gross premium written since the start of the year was up by about 3pc versus the comparable period last year. The has been spurred by a rise in both the number of policies written and in the average premium charged. FBD, whose chief executive is Andrew Langford, said it was also continuing to focus "considerable resources" on growing its business within the farming sector. It expects its share of the overall insurance market is likely to have increased in the year to date compared to last year. The company pointed out that increased economic activity leads to higher claims frequency and that there is a time lag before this is reflected in market premiums. It said in March that this would have a short-term impact on profitability in 2014 and in the early part of 2015. "FBD has taken appropriate rating action to date and continues to monitor trends to ensure that risks are adequately priced," it said. The insurer intends to increase penetration within urban markets this year, particularly in Dublin, and in the business insurance market through brokers. It reaffirmed its guidance for the year, with expected operating earnings per share of between 120 and 130 cent.